We will be holding a new, beginner 101 class on Tuesdays at 4:10 to 5:00pm this 2018 / 19 school year. There is a Tuesday 6 to 6:50pm class if your rocker is aged 11 or 12 and has some prior voice lesson experience. Our group vocal program is a school year program from late August through the end of May, that spans a total of six sessions overall. Similar to our group guitar lessons, group vocal also incorporates video, audio, and graphics in a fun and interactive way. The focus is on learning safe and proper vocal technique and applying new musical concepts as part of a vocal group. Each student receives a custom supplemental hand-out for each of the 11 weeks, which covers the main sections of the lesson, not to mention plenty of instruction with a maximum of 6 students per class. 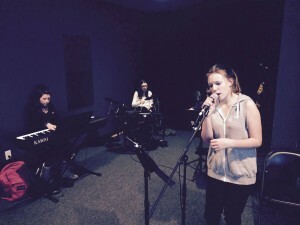 Often times during a session, the group will write and perform an original song at the BIG show! Following the completion of the program, the singers are welcome to join / form bands or take private lessons. 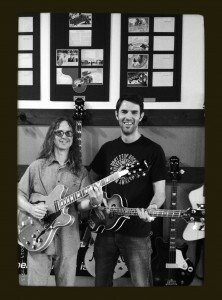 Tuition for our group programs (vocal, guitar and band) are drafted every three months. We will send you a courtesy reminder of specific draft dates a couple of weeks in advance. Group vocal tuition is $295 per 12 week section of the school year program. 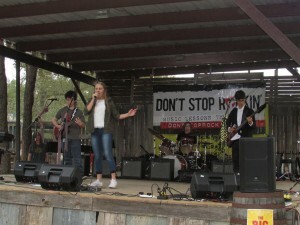 We use pop and rock music that is generally familiar to the majority of rockers and appropriate for their skill level. The group will also have the opportunity each session to collaborate on an original song, which they will be able to perform at The BIG show. 99% of the time, YES! The lessons are designed to be fun and fit the learning style of the modern young person. Those that come into the program with a musical background or an interest in music in general LOVE the experience. Occasionally, the group dynamic doesn’t suit everyone and if this is the case we will direct you to a different class type or private lessons. Don’t Stop Rockin’ Group Vocal is reserved for children ages 9 and up. Even though there are certainly exceptions, we see the most success for them, when children join the group program once they are at least 9 years old. Under 9? See our private lesson page for details as 7 and up is a good starting age for private vocal lessons. Help us to help you by working to schedule this daily time. It is a good habit to schedule practice time just before something else that they really enjoy, like screen time or a treat. We don’t require your child to practice a specific amount of time each week to be able to understand or take the next lesson, however, it will certainly be beneficial and the more they practice the more confidence they will gain each week. Each Rocker will receive their own customized weekly handout, which contains the information from the current weeks lesson. We also provide an online resource for the group vocal songs, providing the full audio and also an edit with the lead vocals removed. Your rock star can practice to this at home. There are no credits or make-ups given if you miss a group vocal lesson. If they would like to schedule a 30 minute private lesson with an instructor (where available) you can, for the totally reasonable additional cost price of $15. You will simply need to email james@dontstoprockin.com to request a lesson time. Please remember our group vocal, guitar and rock band programs are school year programs and we expect that each student will be with us for the duration of each school year. We post our entire school year program, including performance dates on our live calendar in early August.